This Mercedes-Benz includes: MULTIMEDIA PACKAGE Navigation System 64-COLOR INTERIOR AMBIENT LIGHTING INDUCTIVE WIRELESS CHARGING W/NFC PAIRING SIRIUSXM RADIO HD Radio Satellite Radio MOE TIRES (EXTENDED MOBILITY) BLIND SPOT ASSIST Blind Spot Monitor BURMESTER SURROUND SOUND SYSTEM Premium Sound System REAR SPOILER (PIO) Rear Spoiler PREMIUM PACKAGE Keyless Start Hands-Free Liftgate Auto-Dimming Rearview Mirror Power Door Locks Keyless Entry Power Folding Mirrors Remote Trunk Release AMG LINE Transmission w/Dual Shift Mode Split Bench Seat Floor Mats Fixed Bench Seat Bucket Seats NIGHT PACKAGE LOWERED COMFORT SUSPENSION HEATED FRONT SEATS Heated Front Seat(s) *Note - For third party subscriptions or services, please contact the dealer for more information. * Why spend more money than you have to? This Mercedes-Benz A-Class will help you keep the extra money you'd normally spend on gas. 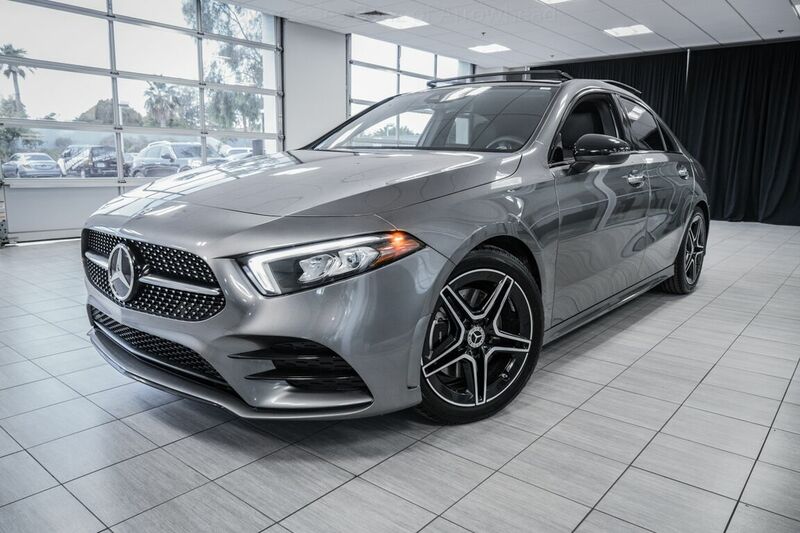 This Mercedes-Benz A-Class is equipped with AWD for improved handling. Whether you're faced with inclement weather or just out enjoying the twisting back road, you'll have the grip of AWD on your side. Enjoy the drive without worrying about directions thanks to the built-in navigation system. Visit your Mercedes dealer today serving Phoenix, North Scottsdale, Tempe, Gilbert, Mesa, Chandler, Scottsdale AZ.